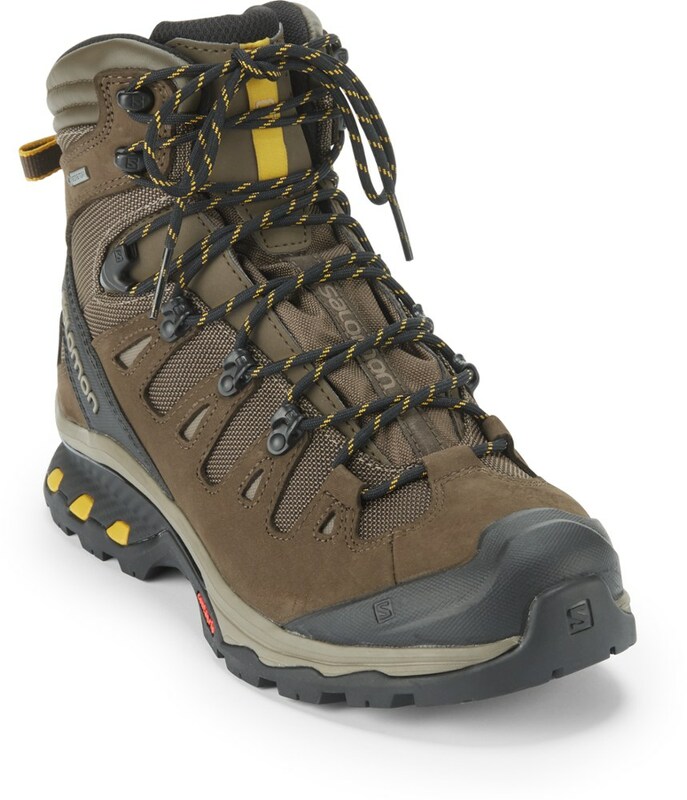 The next time you go hiking, make sure your feet are properly outfitted in the Men's Eriksson GTX Backpacking Boot from Vasque. The uppers are made from 2. 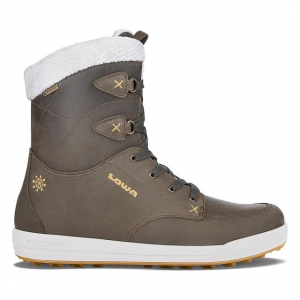 2mm waterproof full-grain leather that is lined with a Gore-Tex waterproof membrane, so your feet will stay dry all day. Since backpacking naturally can involve heavy packs, Vasque used a PU-foam midsole as well as an EVA footbed for the ultimate in support and all-day comfort. 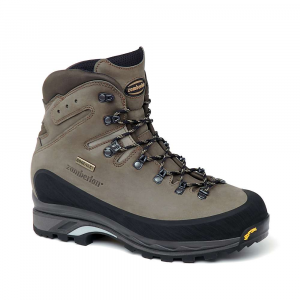 Since the best hiking boot in the world won't help you if you're slipping and falling on your face due to lack of traction, Vasque added Vibram Summit rubber soles. 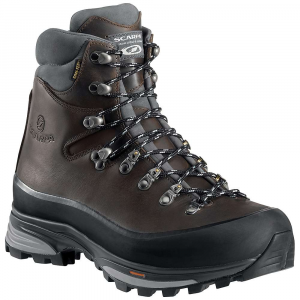 Worthy of a heavy pack and rough terrain, Vasque Eriksson GTX hiking boots deliver Gore-Tex(R) weather protection, tons of support and rugged outsoles for your serious backpacking adventures. CLOSEOUTS . 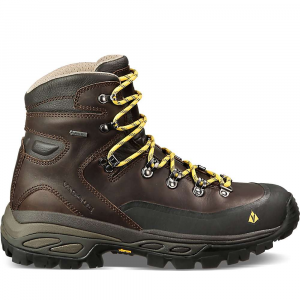 Whether youand#39;re backpacking, bushwhacking or making the long trek, the Vasque Erikkson Gore-Texand#174; hiking boots are the ideal companion for the trail. They feature waterproof breathable construction and a comfortable three-layer midsole to ensure comfort along the route. Available Colors: JET BLACK/ROOIBOS TEA. Sizes: 7, 7.5, 8, 8.5, 9, 9.5, 10, 10.5, 11, 11.5, 12, 13, 14. A heavy pack and rough terrainan experience to remember or a nightmare in the making? 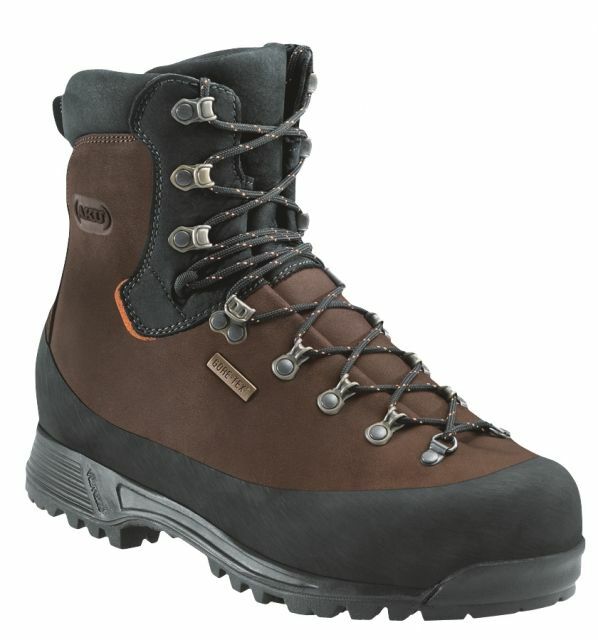 Make sure its the former with a breathable, waterproof hiking boot worthy of the task. The Eriksson GTX builds on a three-section midsole incorporating EVA, polyurethane, and a supportive TPU plate. 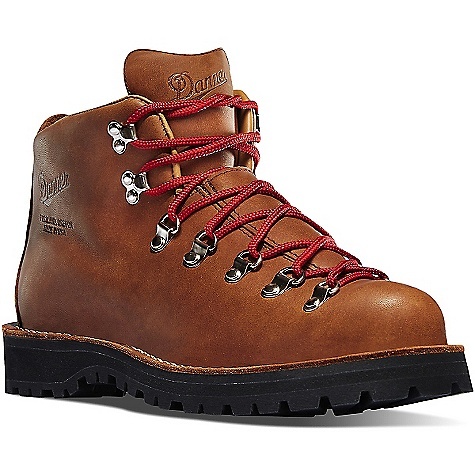 Full grain, 2.2 mm waterproof leather offers the durability youll need to expand your frontiers. A GORE-TEX liner, Vibram Summit sole, and polyurethane internal foam around the ankle just to show Vasque is serious about getting it done, no matter the terrain.